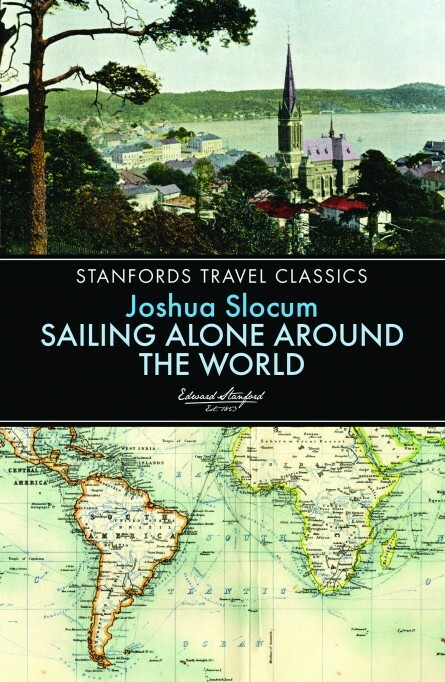 Joshua Slocum spent a lifetime at sea.He ran away from his Nova Scotia home at the age of fourteen and for the next thirty-five years he sailed the world holding every shipboard rank. When a ship under his command was wrecked on the coast of Brazil in 1887, it seemed that his maritime career had ended in disgrace. Not one for retiring to earthly pastures, Slocum rebuilt a hundred-year-old sloop and set off for Boston in 1895 on the first single-handed circumnavigation of the globe. For more than 3 years Slocum battled stormy seas, attacks from raiders and pirates, and of course loneliness. He crossed the Atlantic no fewer than three times, spent weeks thrashing against the elements around Cape Horn, and found shelter in numerous exotic harbours. Sailing Alone around the World is the extraordinary story of one man’s courage and resourcefulness, and has an enduring and universal appeal as a landmark of world adventure. Size 198 x 129mm / 7 ¾” x 5”. Extent 164 pages.